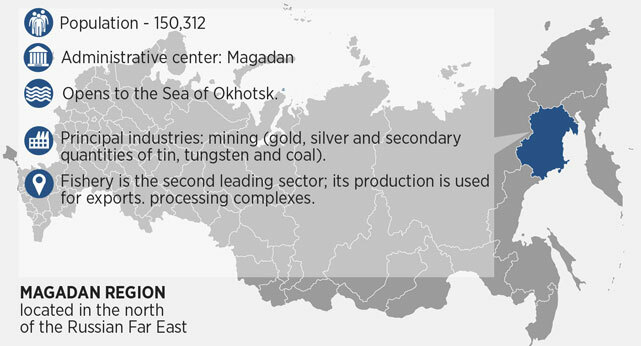 The Magadan Region accounts for about 25 percent of Russia’s gold reserves. In 2013, more than 800 tons of gold were produced in the region, which is now actively attracting investors for other mining projects. The governor of the Magadan Region, Vladimir Pecheny, discussed the region’s plans with RBTH at the Sochi Investment Forum. The participation of foreign companies in minerals extraction has already become a tradition; U.S. companies have worked in the region in recent years. Now we are seeing a slight shift toward our Asia-Pacific partner countries. However, this is natural, as we are geographically closer to China, South Korea, and Japan. Today, the participation of these companies in the mining sector seems completely natural. Attracting a flow of investment for the development of the mining industry is important for us. We are forming new investment projects, and for us it is also important to diversify the economy, as we have not only gold and silver resources, but also coal. One such project we are promoting is large-scale, involving the creation of a coal cluster oriented to exporting to Asia-Pacific region countries. Foreign partners are not involved in some of our large-scale infrastructure projects, including in energy infrastructure, electro-transmission construction, and the development of brown coal deposits, although talks with foreign companies from China and Japan are underway.